Of the 2,000,000 personal bankruptcies filed in the United States every year, 60% are due to medical bills. 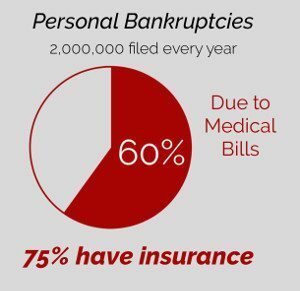 Further, of those patients declaring bankruptcy due to medical expenses, 75% are insured. The cost of congenital heart surgery for one child can easily reach into the millions, and the variation in the cost of treatment can be nine times as expensive between hospitals for the same surgery. The U.S. healthcare marketplace is unfortunately no different than any other industry in our capitalist society. The cost of congenital heart treatment can far exceed the value of a family’s home, typically considered the most expensive purchase a family will ever make. If afforded the opportunity, would you ever purchase a home without visiting it, much less ordering an inspection, comparing nearby home values or researching crime and school statistics? Patients are still consumers, and if possible, we must be smart and ask uncomfortable questions about the costs associated with treatment. Because at the end of the day, you still want a home to take your baby to. Take these steps to mitigate unnecessary treatment costs. How much is surgery going to cost? Can you provide a list of all the possible or likely CPT codes that are used for this procedure? To the extent possible, I would like a preauthorization form completed prior to any procedure. What does Medicaid pay for this treatment? What is the price charged to those without insurance? Is there someone in the hospital (social worker) that can help me identify financial resources? 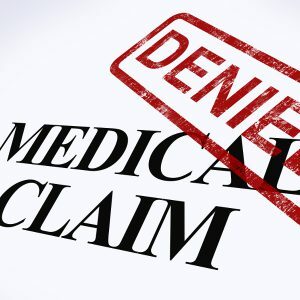 Who/what procedures/facilities/tests/fees/other expenses are not in-network and will not be applied toward my in-network deductible/co-pay/limit? Can you preapprove everything that is outlined in the list of CPT codes likely to be used/pre-authorization? Patient Advocate Foundation is a good resource to help you navigate the financial considerations of treatment. Further, if you are denied coverage by your insurance company or if you don’t have insurance, you can Contact Us, and we will try to help you.